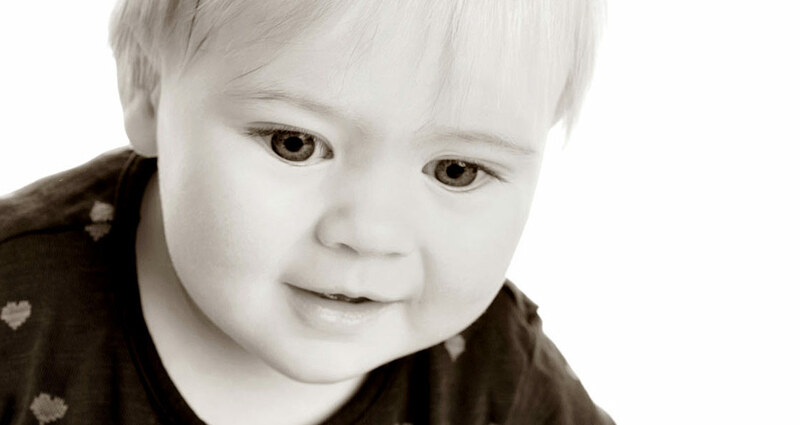 We offer a wide range of baby portraits Worcestershire – firstly we create a friendly and relaxed studio space for the shoot. 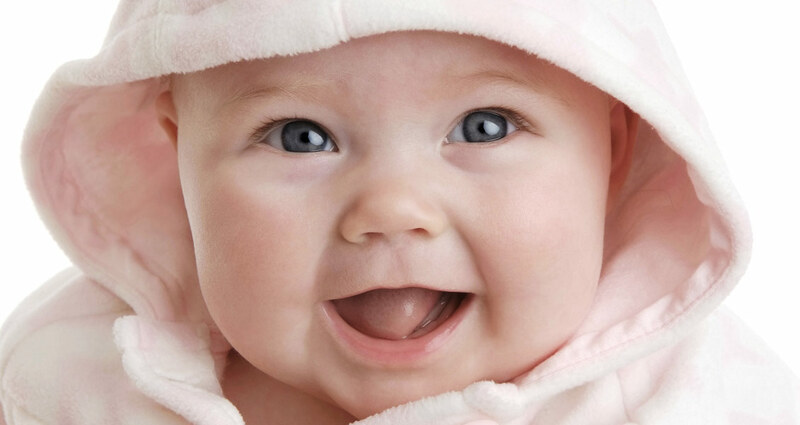 We work as quickly as possible but give plenty of time for play and for you to get your baby happy and comfortable. 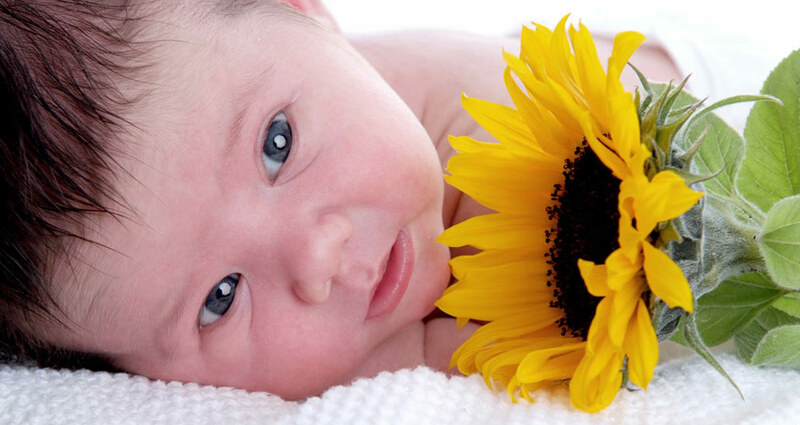 We usually try and book Baby Photo shoots for mornings when your baby is at his or her best. We give you the chance to bring along favourite toys and clothes if you would like – we have parking right outside our studio so there is no walking from the car with lots of baby equipment. Jane is just fabulous with babies and is superb at getting their attention and some lovely expressions. 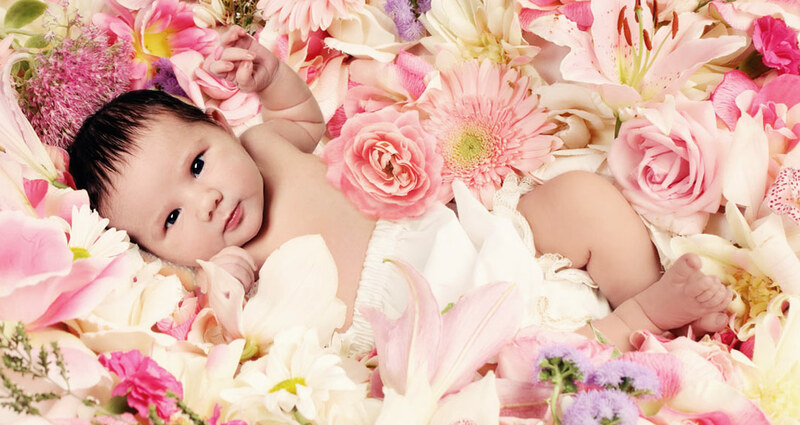 Baby photography is all about the expressions and the lighting – we are happy with newborns and then suggest that around 16 weeks is the next ideal time when you will get better expressions and some head control. 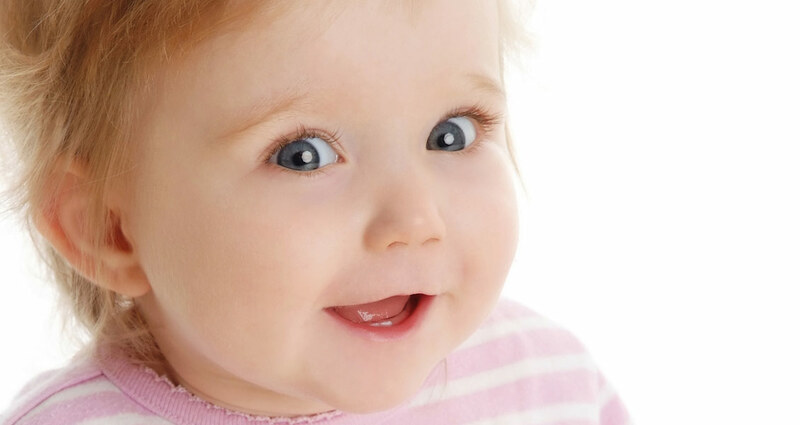 Many people bring their babies to us up to three times during the first year at 4 months, 8 months and 12 months because the changes in that first year are just so great. 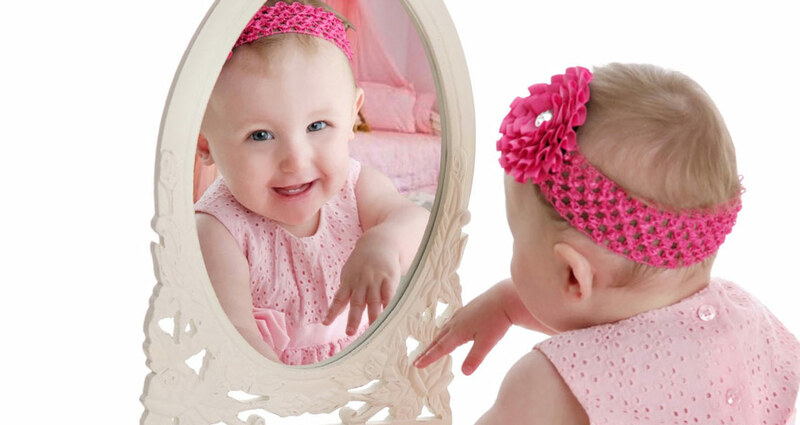 We offer wonderful multi-image frames and babies first year albums to capture and remember this important time. 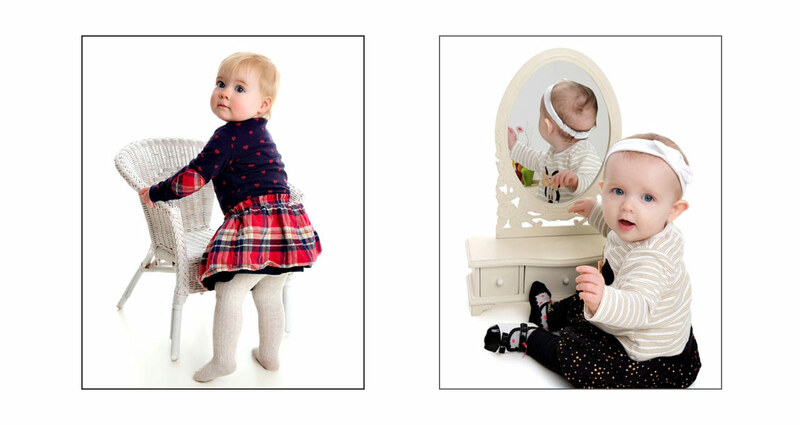 All the images shown are from real baby portrait sessions at our lovely photographic studio in Kidderminster Worcestershire, taken by us over the last year or so. 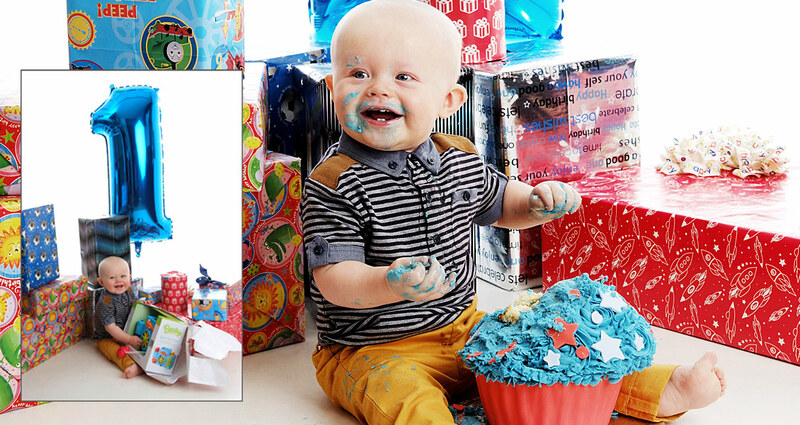 We offer “Watch me Grow” packages for new families to record their new baby’s first year. A voucher like this is for three sessions during the baby’s first year and usually includes mum and dad too. 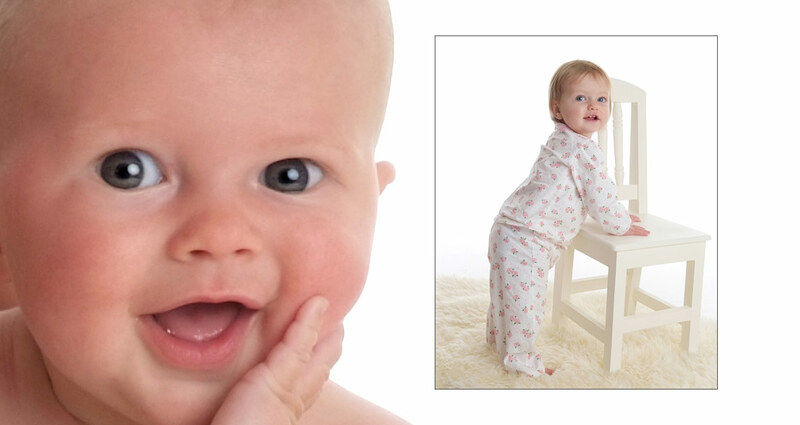 Our first aim on a baby shoot is to make you feel welcome and relaxed. Jane is fantastic with the little ones and will put them at their ease. She will find out exactly what style your looking for, modern, traditional or contemporary, relaxed, fun and informal shots. 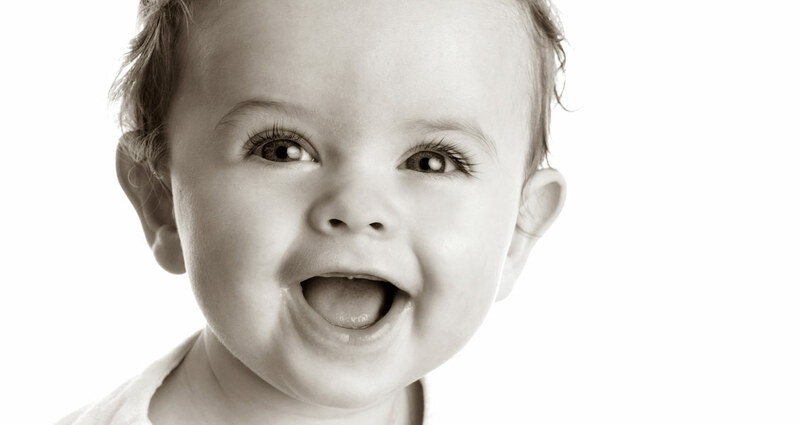 Most of all we want it to be a relaxed and enjoyable experience for your baby and will take extra time if required. We take the shots with the minimum of fuss and then arrange for you to come back a few days later to see the results on our large high definition twin screens in our comfortable viewing room. There is no hard sell, we will just help you pick the pictures that you would really like. 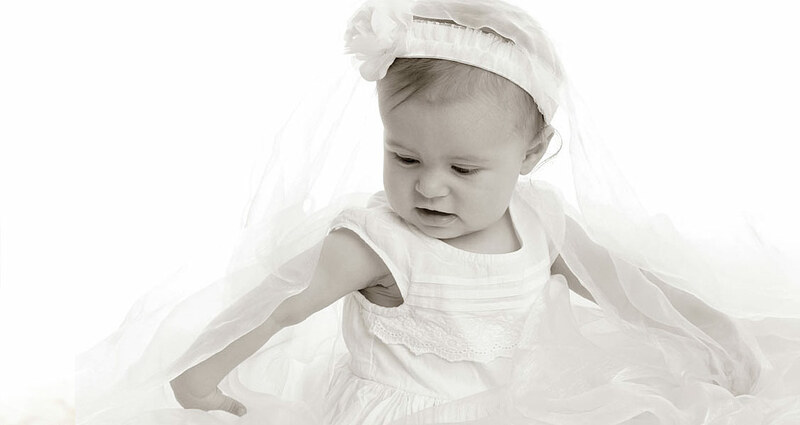 We can also show you how they will look in colour, black and white, sepia and Ice Blue or even infrared! We can also airbrush away any blemishes you would like removed. We hope you enjoy these images of local families in Kidderminster, Worcestershire and the West Midlands to whom we are very grateful for letting us share their images. 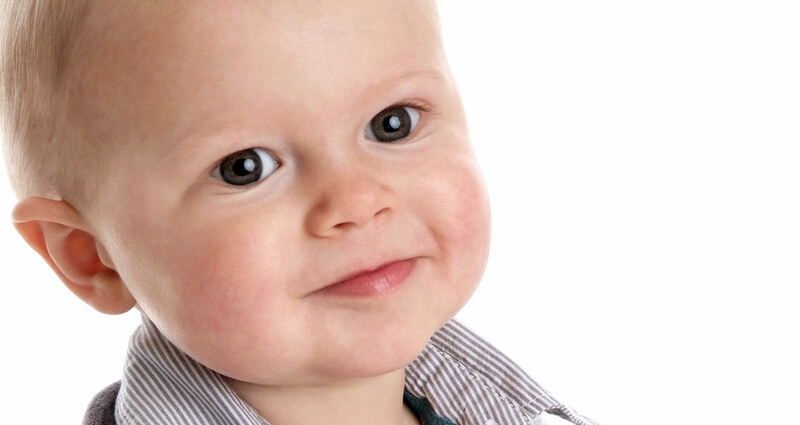 Ask about our great value “Watch Me Grow” baby portrait gift vouchers. 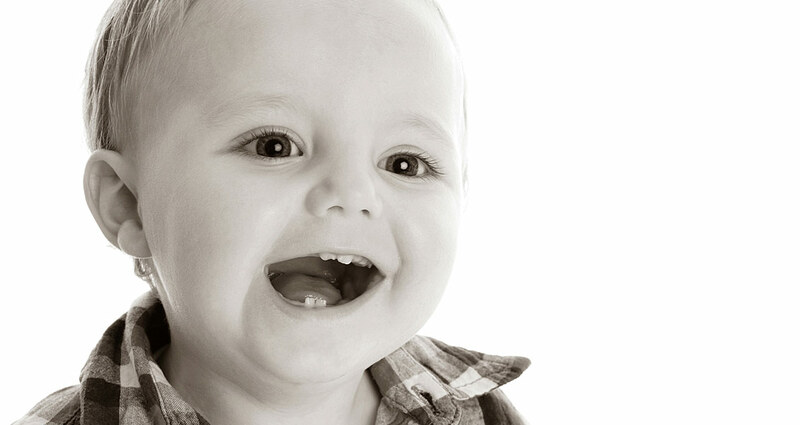 Baby & Toddler Portrait Shoots are just £30 ( Worth £85 ) including your first 7″ x 5″ print See our package deals here or visit our facebook page for latest portfolios and reviews. 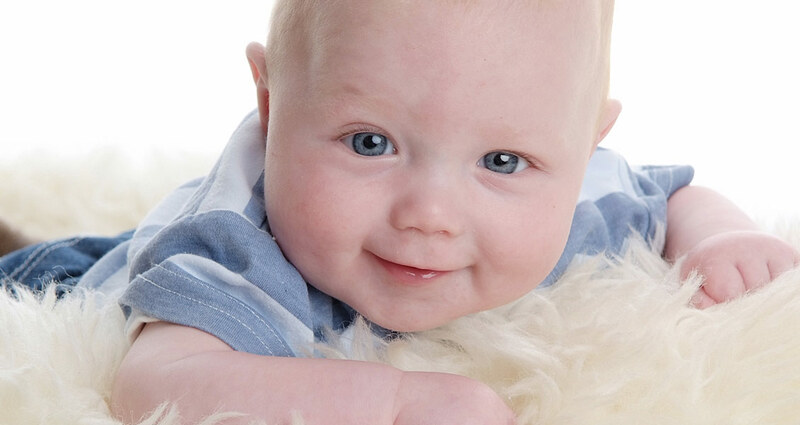 Baby Portrait Photography Gift Vouchers are also available Call Now on 01562 747612 to book your portrait session or voucher.